1/24 German Jerry Can Model, set of 6 Discounts Apply ! 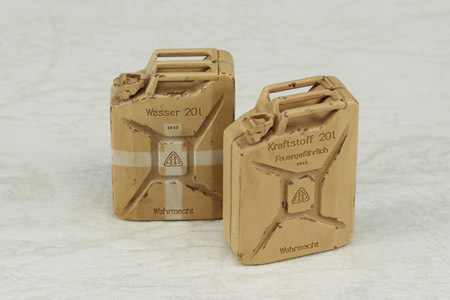 TAS24003 - 1/24 German Jerry Can Model, set of 6. Three cans for fuel and three cans for water. Some assembly required and can be used on either 1/24 or 1/25 scale model tanks.